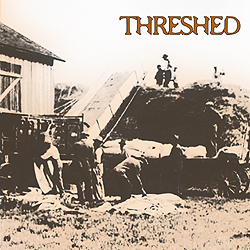 Threshed – A free compilation of music created with the Threshold Impulse Response library. Threshed showcases the various uses for the library and the talented artists who push the tool to its limits. This beautiful release features minimal drone, noise, dark ambient and abstract pieces from a masterful pool of artists. Transcending a mere demonstration of the tool available, Threshed stands on its own as a brilliant compilation of extraordinary pieces of unconventional sound.